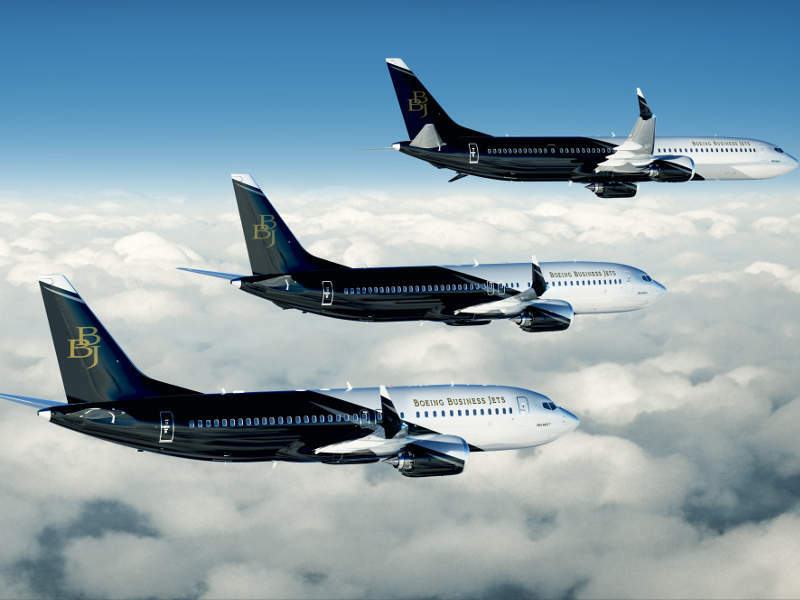 Boeing Business Jet (BBJ) MAX 7 is the new member of the BBJ MAX aircraft family. Credit: Boeing. 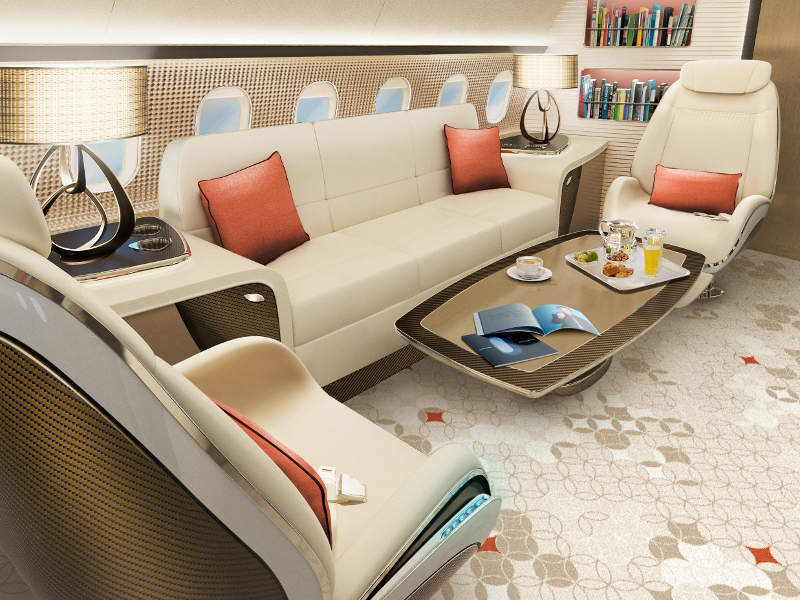 Artist’s impression of the BBJ MAX 7 interiors. Credit: Boeing. BBJ MAX 7 is the smallest business jet in the BBJ MAX family. Credit: Boeing. BBJ MAX 7 produces 40% less noise than other business jets of its class. Credit: Boeing. 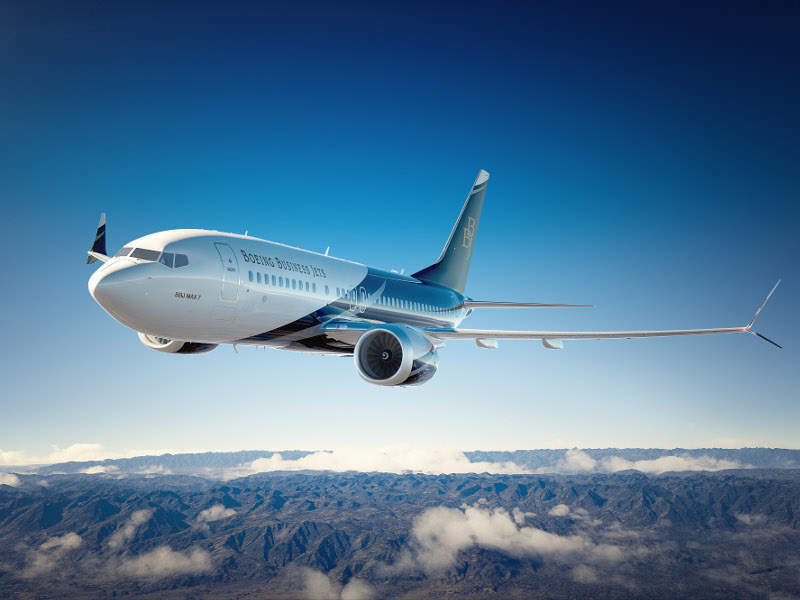 The Boeing Business Jet (BBJ) MAX 7 is the latest entrant in the BBJ MAX aircraft family, which is designed to offer high-quality, mobility and convenience to the passengers. The MAX 7 is an optimal combination of size, performance, efficiency and comfort. It offers improved aerodynamics, an updated flight deck, and a 40% reduced noise profile. Fly-by-wire spoilers enhance the flight control and provide easy manoeuvrability. The aircraft also delivers 10% lower operating costs compared to the original BBJ. Boeing received its first order for the delivery of a MAX 7 aircraft from Orient Global Aviation in December 2016. Seacons Trading placed an order for a BBJ MAX 7 during the 2018 Farnborough International Airshow held in July 2018. The BBJ MAX 7 has dihedral-swept wings configuration with split-tip winglets, which use the laminar airflow to reduce the drag. The split-tip winglet increases the effective wing span, delivers higher fuel economy, and improves the range up to 2.5% during long-range flights. The aircraft has an integrated automatic mechanically deployable air-stairs, enabling hassle-free boarding and deboarding. The stairs with integrated handrails can automatically stow back into its compartment below the main cabin. The flight deck houses new large format displays with additional graphics and an enhanced pilot interface. The MAX 7 is 35.6m-long, 12.3m-high, and has a wingspan of 35.9m. The smallest aircraft of the BBJ MAX family offers an additional passenger cabin space than the traditional BBJs. 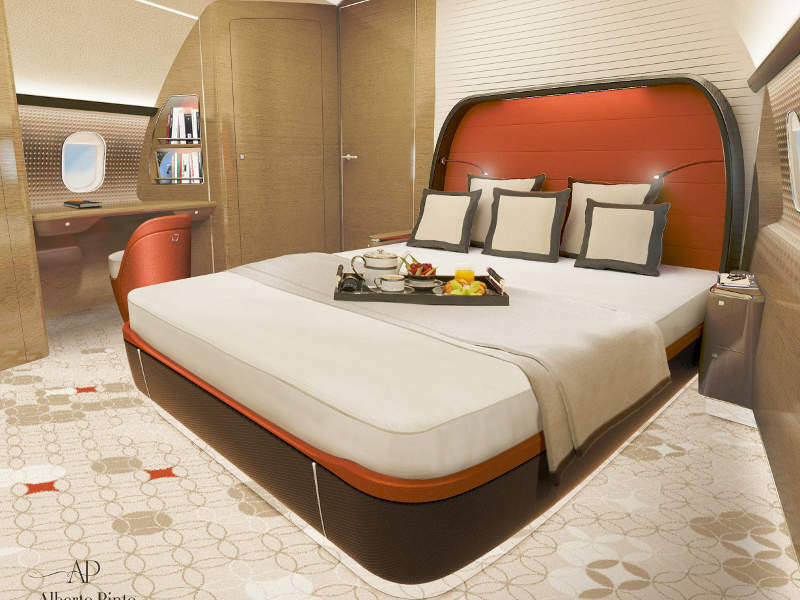 The MAX 7 features a luxurious, spacious and comfortable cabin for a relaxed and home-like experience during flight. The spacious cabin has a cross-section length of 3.53m, which allows free movement of passengers. The variant offers high passenger comfort by providing lower cabin altitude. It maintains a maximum cabin altitude of 6,500ft at maximum cruise altitudes, while the average cabin pressure maintained during long-range flights is 5,600ft. The cabin of MAX 7 is 1.93m longer than the normal BBJs. The total length of the cabin is 26.11m, while the total area is 82.13m². The cabin offers a spacious living area, furnished business room, a dining hall, private rooms, a kitchen, and a bathing place. The aircraft provides 275ft³ of cargo space below the deck despite featuring auxiliary fuel tanks. The BBJ MAX 7, similar to other variants of the BBJ MAX family, is powered by CFM LEAP-1B engines. 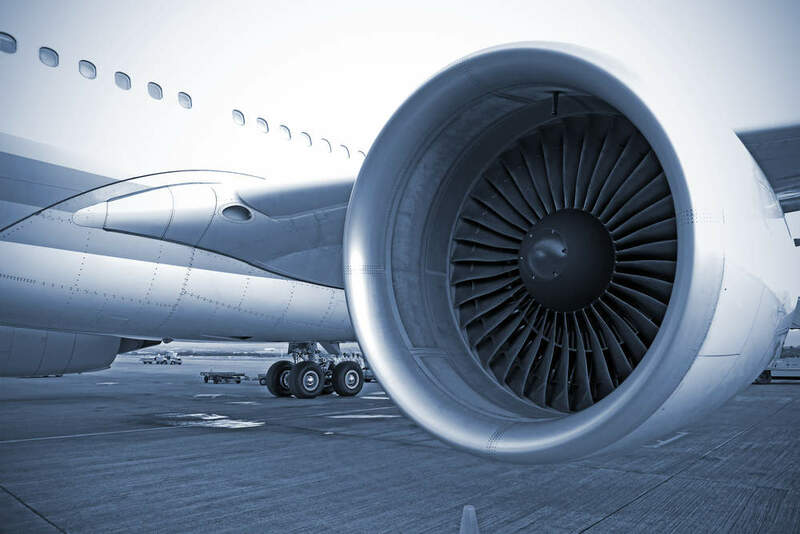 The engine’s optimised core and fan, which is 8in longer in diameter than the B737 engine fan, has a higher bypass ratio. The aircraft offers a greater range than BBJ MAX 8 and BBJ MAX 9 aircraft. It can fly up to 12,966km with eight passengers on-board and can endure up to 12,412km while carrying 19 passengers. The maximum usable fuel carried by the BBJ MAX 7 is 39,735l, while the maximum take-off weight is 80,286kg. The aircraft has a maximum landing weight of 66,043kg. The maximum zero fuel weight of the aircraft is 62,913kg and its operating empty weight is 48,060kg. The interior weight allowance for the cabin is 7,257kg. The BBJ MAX family includes MAX9, MAX8, and the new MAX7 aircraft. The largest of the three is the MAX9, which is 42.1m-long, followed by the medium-sized MAX 8, which is 39.5m-long, and the MAX7.